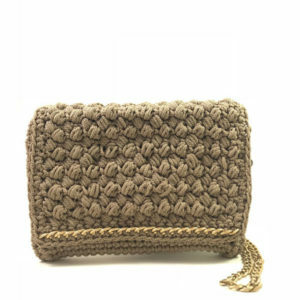 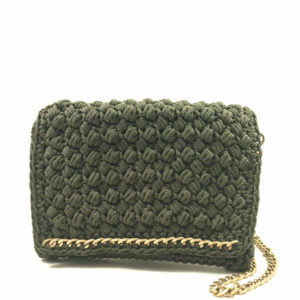 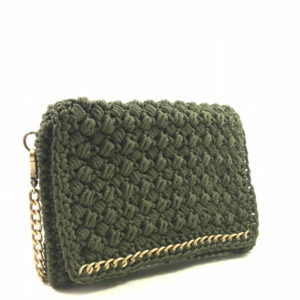 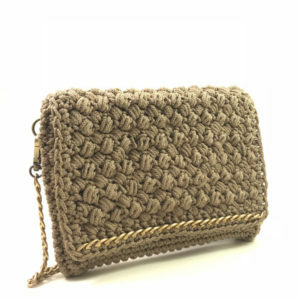 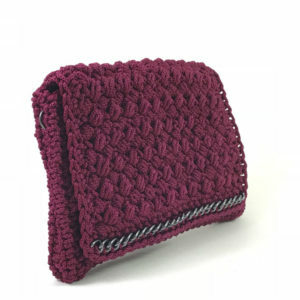 Handmade crochet clutch. 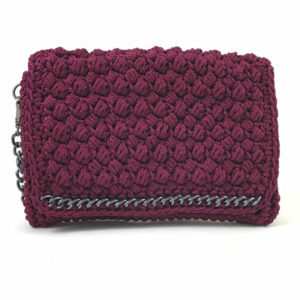 Wear it as a shoulder bag, crossbody, or remove the chain strap. 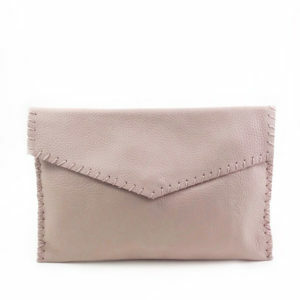 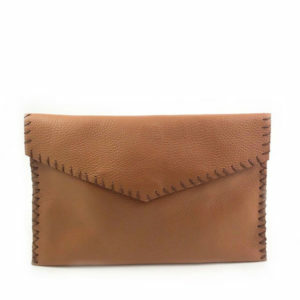 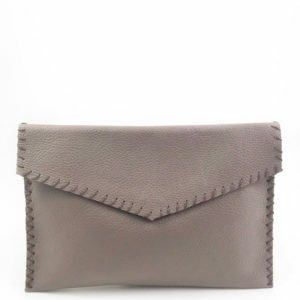 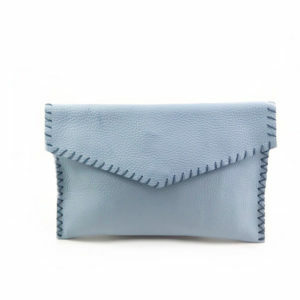 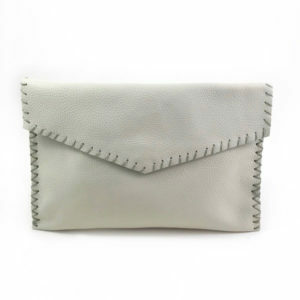 Handcrafted leather clutch with hand stitched details.